The clients were doing major renovations to their home and a pool and entertainment room to the rear of the property. 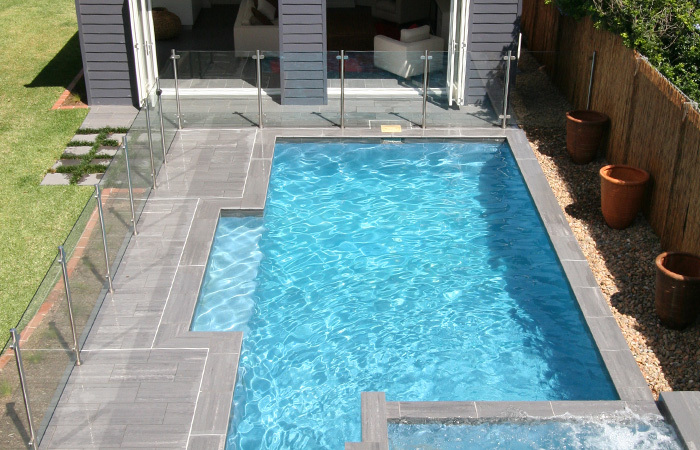 The pool was built in conjunction with the owners, home builder and ourselves. The spa was raised to be at the same level as future decking with the spillway cascading down to the pool below. 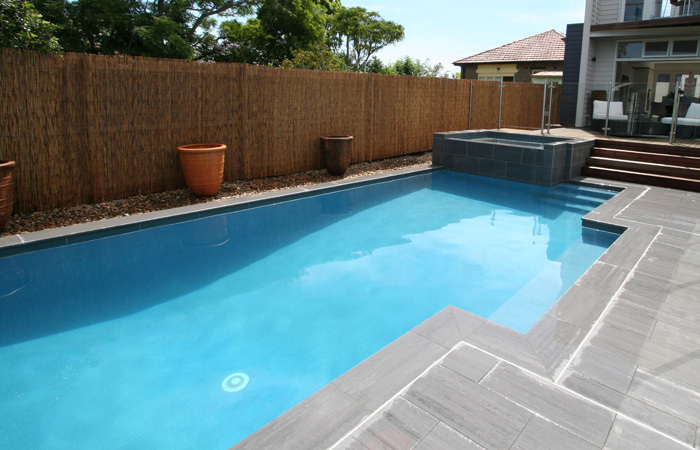 The pool features a 2.2m x 1.5m raised spa with stone cladding on the exterior and a Bellson 4 channel remote.